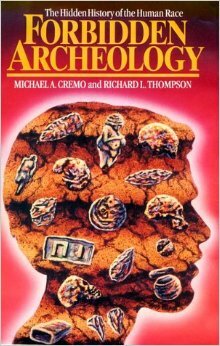 In their 1993, 900-page tome, Forbidden Archeology and its condensed version, Hidden History of the Human Race, co-authors Michael Cremo and Richard Thompson brought forth largely unknown evidence illustrating that modern humans worked and walked the earth millions of years ago, even as far back as 2 billion years ago. The reverberations of this work on the scientific materialist hegemony warranted an extensive response, entitled Forbidden Archeology’s Impact, wherein Michael Cremo provided a blow-by-blow of his dealings with the fashion elite of the Darwinist persuasion. This is as important a book as the first two, but for different reasons. Forbidden Archeology‘s Impact reprints a multitude of negative reviews of the first book, followed by a reprint of a personal letter from Michael Cremo to each reviewer addressing the deceptive disclaimers therein with gracious but pointed sophistication. Cremo’s unruffled confidence in response to the openly boorish and arrogant comments of these defunct fur-covered die-hards is a wonder to behold. His professional finesse makes me feel a little ashamed of my joy in watching this pathetic group go extinct. In truth, the supremacy and authority of the Darwinists is in trouble. This slipshod paradigm doesn’t hold up to the scrutiny of those leading the emerging paradigm of mankind’s genesis. Cremo is one of those leaders. In his sequel, Human Devolution: A Vedic Alternative to Darwin’s Theory, Cremo suggests that human beings “did not evolve up from matter; instead we devolved, or came down, from the realm of pure consciousness, spirit.” Cremo sees “a new consciousness emerging that integrates science and religion into a cohesive paradigm of reality.” Yes, the emerging paradigm is a spiritual one, but it’s Universalist in scope. The Intelligent Design movement is not just comprised of Christians: atheists, new agers, conspiracy theorists, and yes, Hare Krishnas, have joined the ranks. After 150 years, Darwin’s theory is a flop and a diverse body of transcendent philosophies promises to undermine its authority. 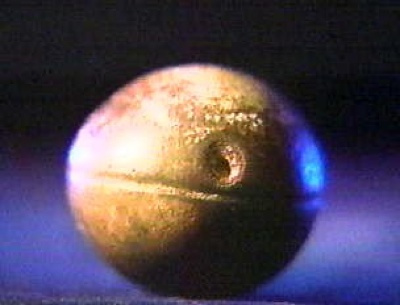 When NBC featured Forbidden Archeology in its 1996 program The Mysterious Origins of Man, hosted by Charlton Heston, establishment scientists lobbied the FCC to fine NBC for airing this opposing view! 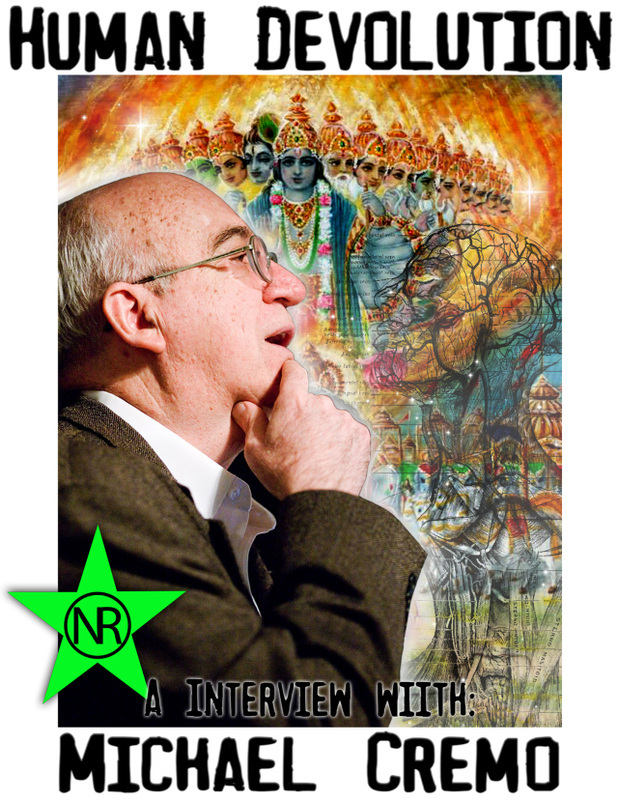 In this exclusive interview, Cremo discusses what he calls a “knowledge filter” upon which materialist science has based its dominant paradigm of human origins. A research associate for the Bhaktivedanta Institute, Mr. Cremo’s anti-Darwinian thesis is embraced by both Christians and alternative epistemology advocates. His conclusions demand a paradigm change. Will it happen in our lifetime? Stranger things have happened. Stay tuned to BIPED for the latest. Michael, quite sychronistically, I picked up from my bookshelf a Manly Hall book calledInvisible Records of Thought and Action and opened it to a page on expansion of human memory. He suggested that during a mystical experience part of universal memory would be opened up. He writes, “it’s reasonable to assume that the end of all knowledge in terms of history and time will be in this restoration of world memory” and that “only by such restoration will it ever be possible to establish ethical content in history.” He states that history is in a “lamentable condition” since humankind has probably been here more like “a hundred million years” and less than 5,000 years is being documented by mainstream science. Hall presumes since nature is “profoundly economical,” this human memory is accessible somehow. Does this tie in to your concept of re-evolution?